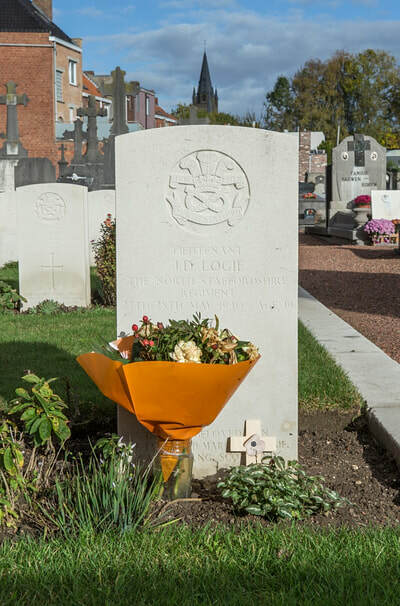 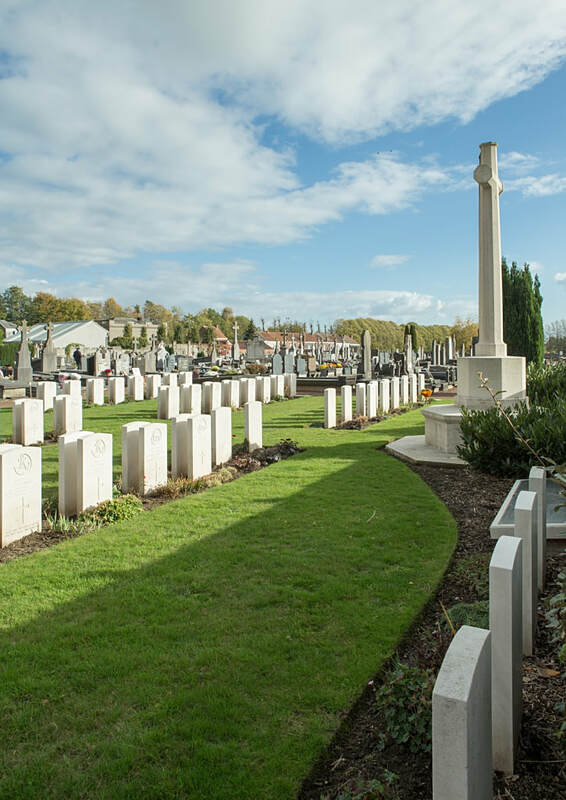 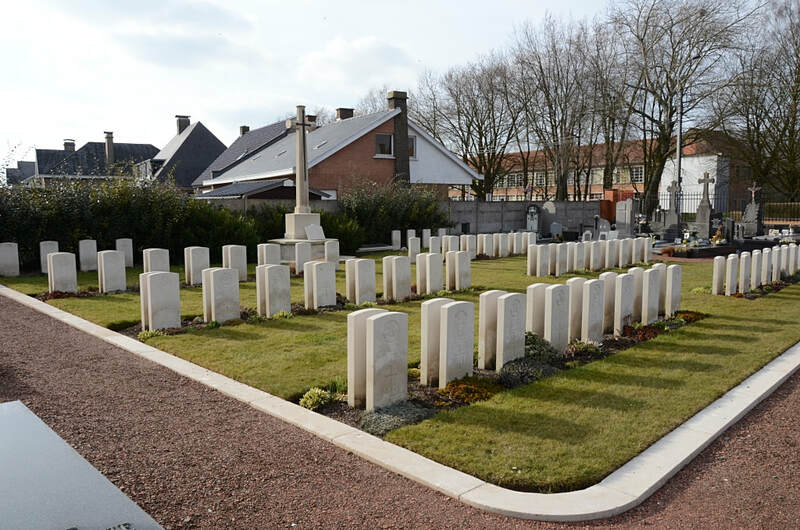 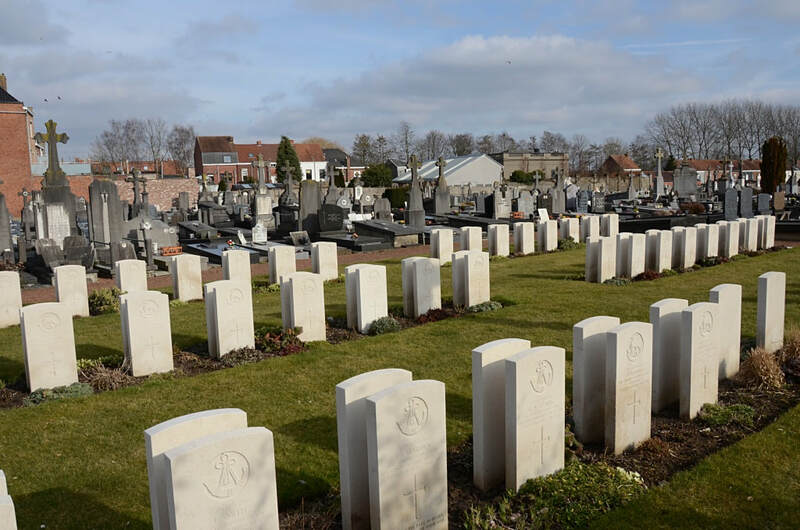 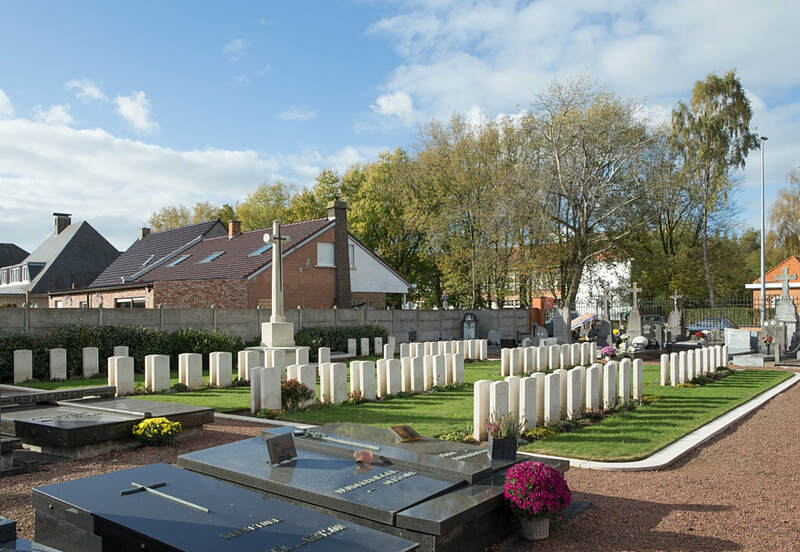 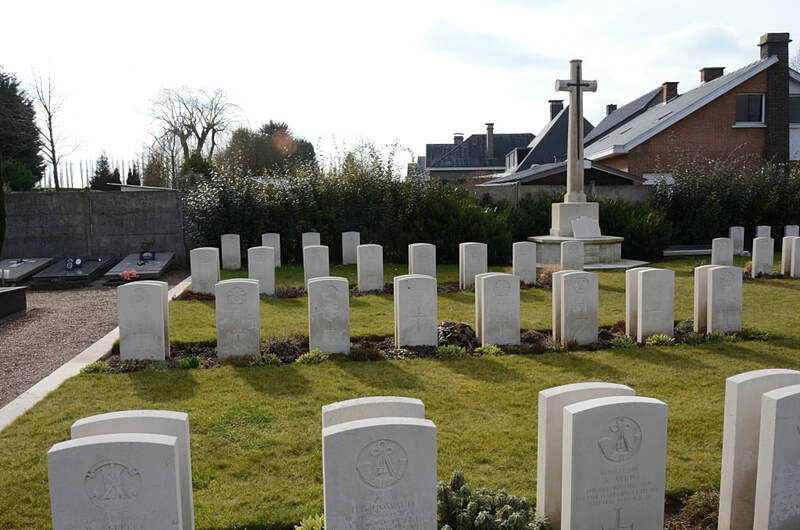 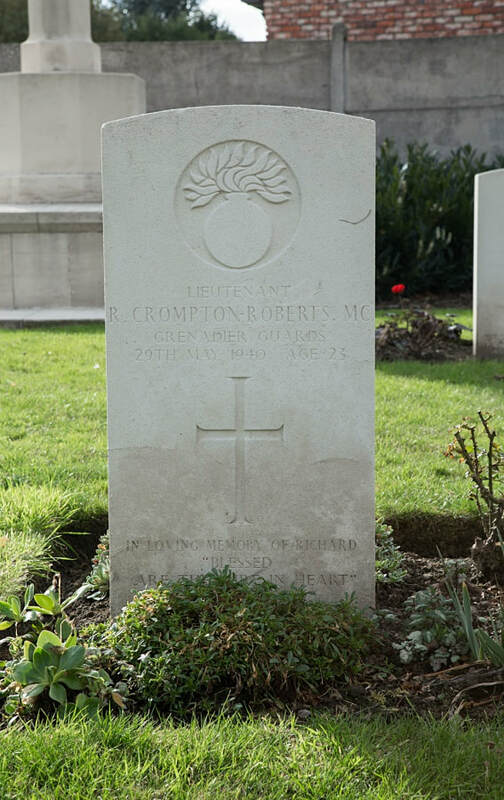 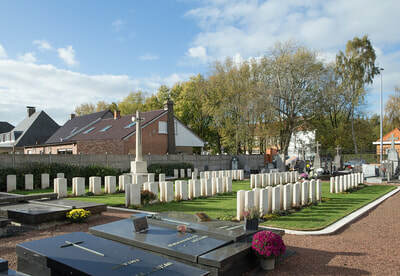 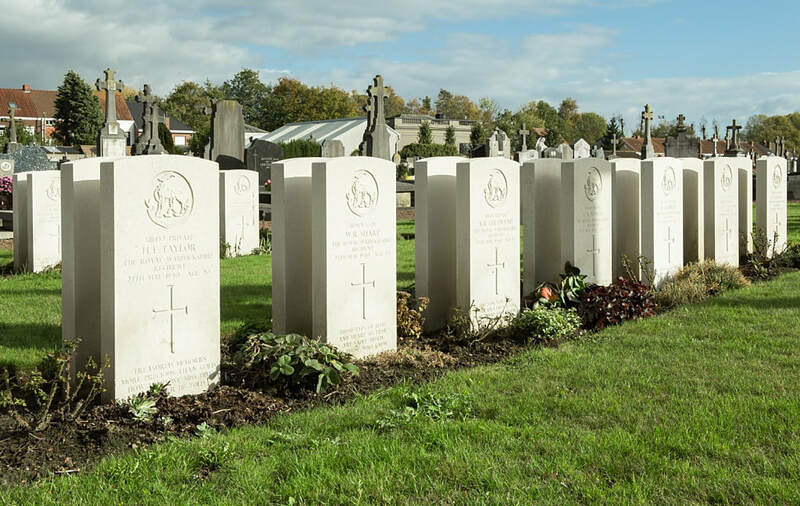 Comines (Komen) Communal Cemetery is located 12 km south of Ieper town centre in the town of Komen. 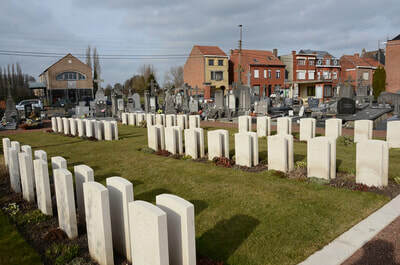 The N336 Komenseweg connects Ieper to Komen. On reaching the town of Komen the road name changes to rue des Combattants. 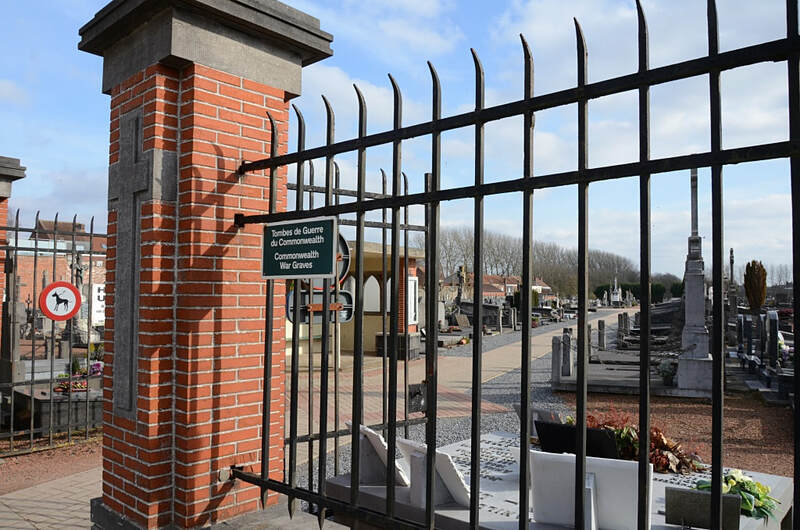 At the end of this road lies the crossroads with the rue de la Gare. 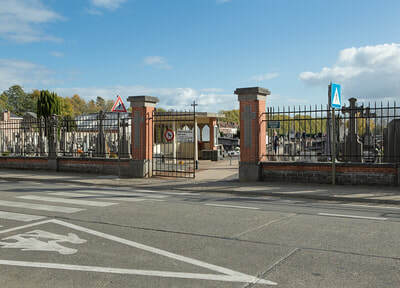 The rue de la Gare continues to a major crossroads made prominent by a large church on the right hand side of the road. 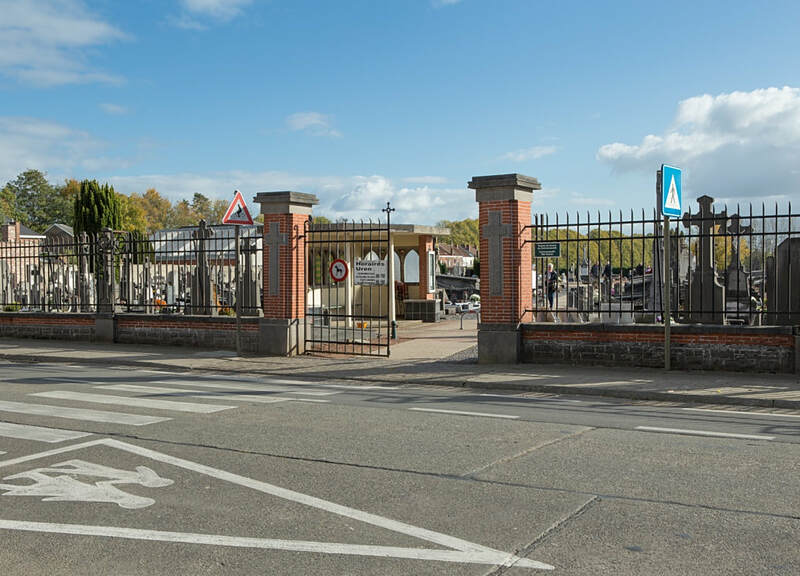 Taking the right hand turning on this crossroads leads onto the rue de Warneton. 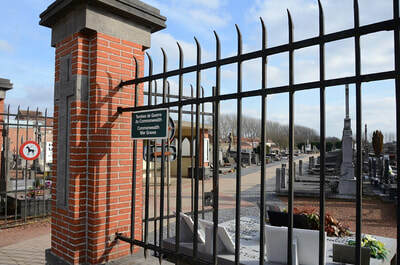 The cemetery lies 400 metres along the rue de Warneton on the left hand side of the road. During the Second World War, the British Expeditionary Force was involved in the later stages of the defence of Belgium following the German invasion in May 1940, and suffered many casualties in covering the withdrawal to Dunkirk. 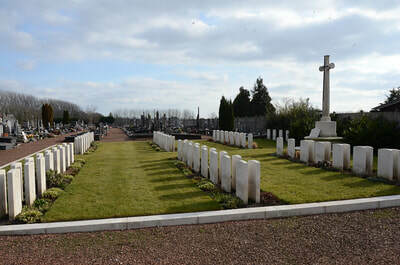 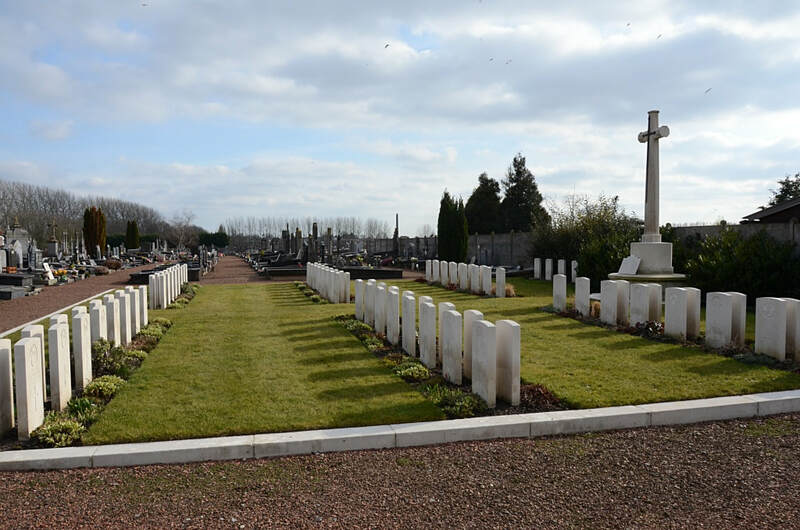 The Commonwealth plot in Comines Communal Cemetery, which is close to the entrance, was created by the municipality, when scattered graves were brough in from all over the commune. 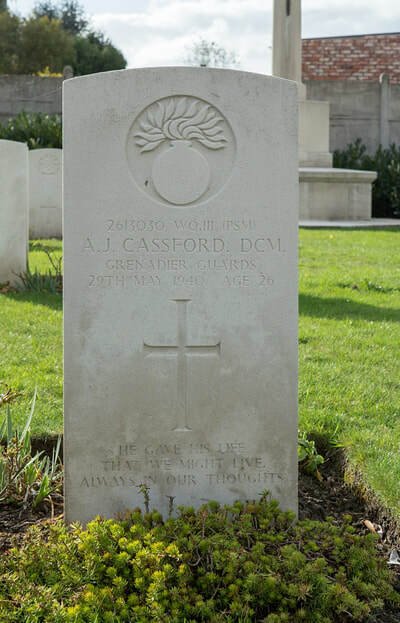 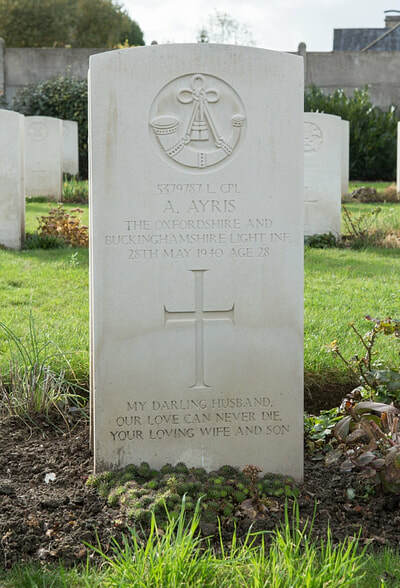 All were killed in the heavy fighting which occurred in the area at the end of May 1940. 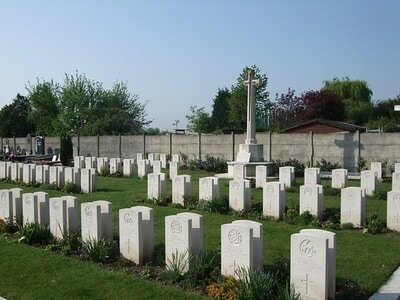 The cemetery 100 Second World War burials, five of them unidentified. 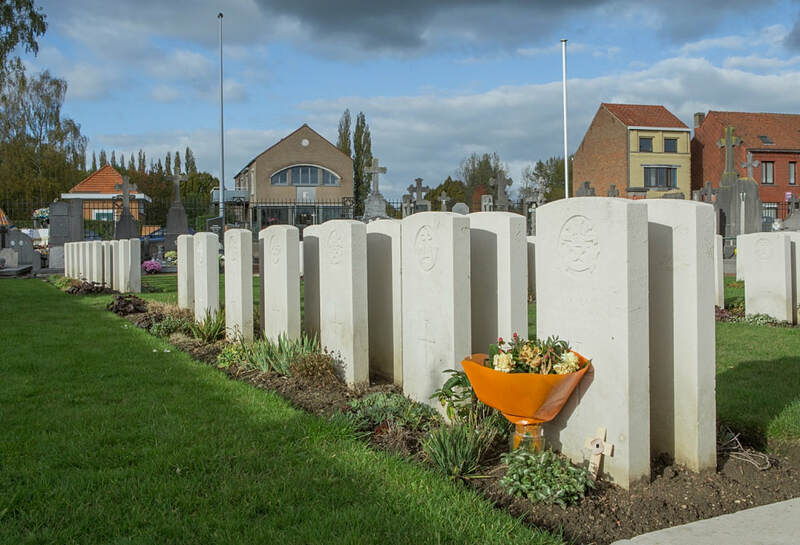 Pictures in gallery below © Johan Pauwels except last image.